Sylvia Lawson’s new book of essays is a strong example of journalism of a kind that Australian public culture does not support well, and which can often miss out on the readers who would enjoy it as result – namely an in-depth reflection, from someone outside the star chamber, on matters of public importance to Australia – so it is genuinely important that this book reach its readership. 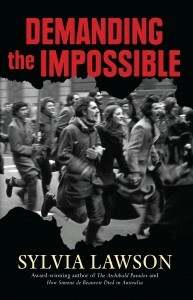 Demanding the Impossible draws constantly on the historical moment of France’s May ’68 to reflect on moments where the response or non-response of Australian institutions and civil society in the last decade or so has made an important difference to the world around us, whether that difference be material, symbolic, or both. Thus the essays weave in and out of questions around Aboriginal reconciliation, the Northern Territory intervention, and Australia’s response to boat people, as well as East Timor, West Papua, South Africa, the Arab Spring and Chechnya, to name just some of the main examples. The stories in this collection are disarmingly complex. Lawson decries journalistic narratives that ‘love the single trajectory, the fatal flaw; it’s alluring, the promised treasure at the end of the fast book or the feature story.’ The book’s penultimate sentence acknowledges all those who resist the petrification of stories, the civic-minded among us who ‘hold the questions open,’ instead of heading off enquiry by closing down its terms. And yet, as the next sentence concludes, it is not enough; it was never enough. That is the essential tragedy of resistance, I think, but calling it tragedy does not entail futility or folly. Lawson-as-author is frequently Lawson-as-narrator in this collection. Her circle of Sydney friends carry personal turmoils endemic across a civil society that wants to fulfil its moral obligations in spite of Australia’s sclerotic politics – a two-headed political machine whose contempt for thoughtful and ethical engagement with the world around us only deepens as its alienation from the electorate grows. 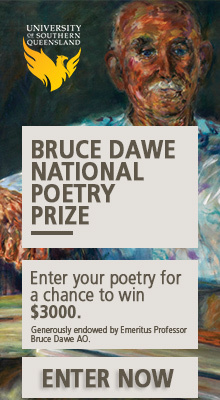 The four friends are her round table, questing through Australia’s intellectual landscape in response to the deeds of more recognisably benchmarked (i.e. slain) knights resistant: Politkovskaya, Bouazizi, Wainggai and Kwalik, East and the Balibo Five. All these heroics are processed through a lens of modern French resistance and complicity, which forms the leading motive for Lawson’s analysis, but also for the diverse political engagements that her friends share. The eponymous resistance, the French one of the early 1940s, sets a pattern for heroes both inside and outside the benchmarked range. The business of transacting that resistance was nothing without the women-as-secretaries, women-as-domestics, women-as-caterers, women-as-washers who kept its information flows going. Like that version of the French underground, then, this collection stamps itself as feminist space, but it overtly does not tell all blokes to get fucked. It sets itself in opposition to the dereliction that passes for professional government in Australia, especially the derelictions of human rights at home and abroad, but it does not tell all politicians to get fucked either. It comes pretty close to telling Richard Woolcott where to park his posterior — but many others have already crossed that line with passion and insight. Instead, it builds a rich picture of the good that can be done – fragile and evanescent, perhaps, but all the more precious for that – of people working in resistance to the derelict alternatives, as they see them. Journalists like Anna Politkovskaya and Roger East, of course, but also the survivors like Jill Jolliffe and John Martinkus, researchers like Helen Hill and James Dunn, activists like Shirley Shackleton and Anne Noonan, and film makers too numerous to pick even a few illustrative examples. One suspects they will all feel an honourable mention in this collection is genuine cause for pride. Sylvia Lawson taught me for six months in the ’80’s at Griffith University – what an inspiring teacher she was.